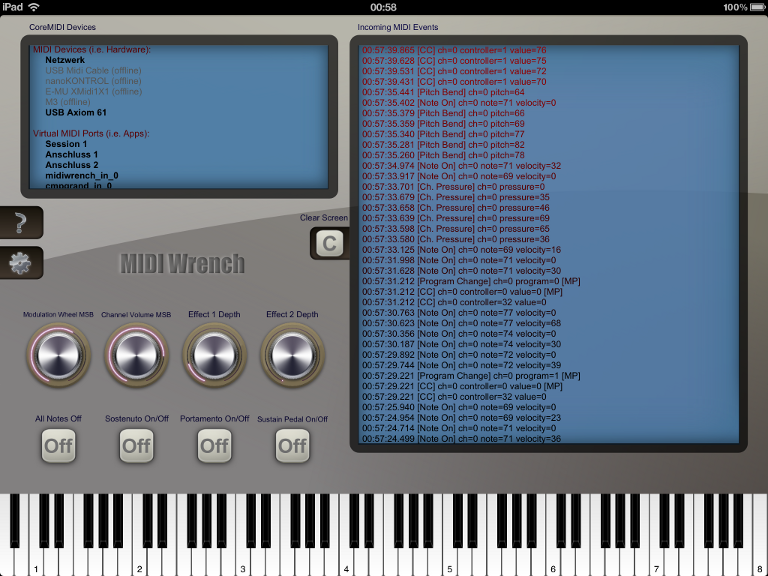 MIDI Wrench is your Swiss army knife that helps you coping with your daily MIDI setup tasks. 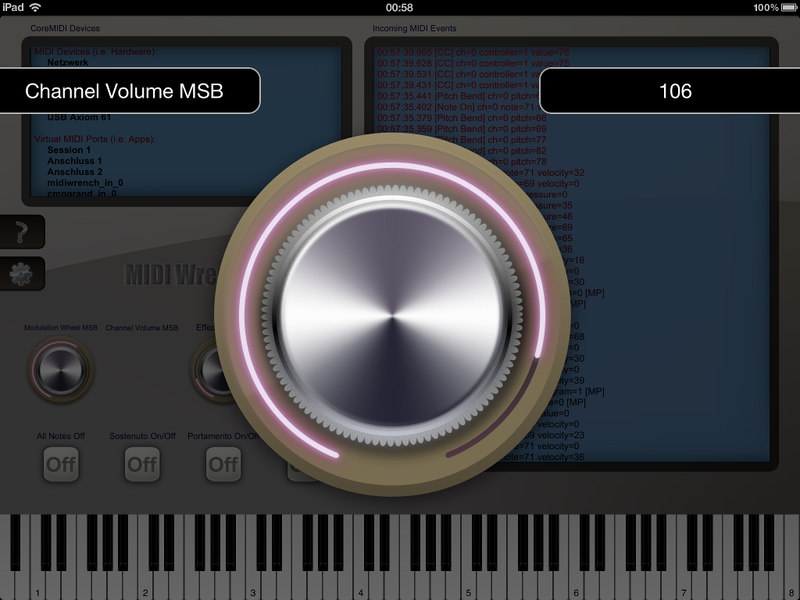 Connect a MIDI keyboard, MIDI sound expander or any other MIDI device to your iPad, iPhone or iPod touch by using the Apple USB camera adapter or any other adapter supported by Apple.� Visualize MIDI messages sent by the connected MIDI device or send MIDI messages to the connected MIDI device. 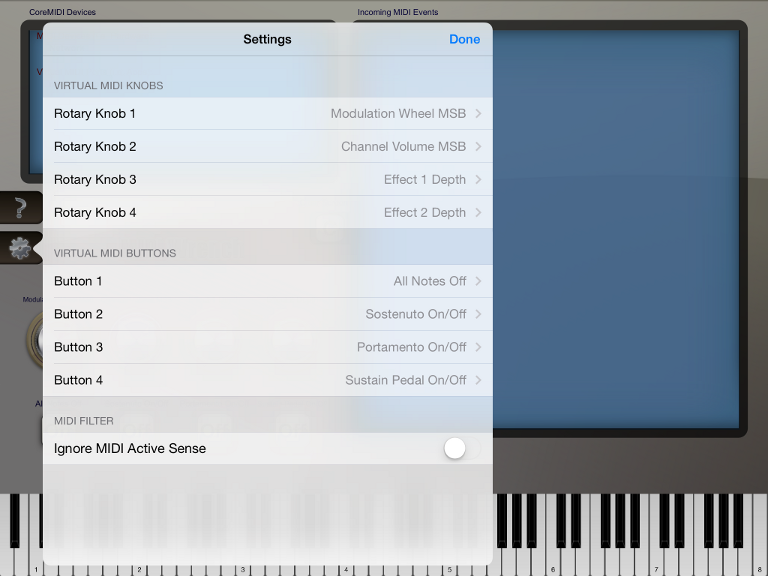 This is a simple but very helpful tool to spot problems in your MIDI setup or simply to analyze what kind of messages various MIDI devices are sending exactly. � The adapter and / or the MIDI device you connect must be supported by the iPad / iPhone operating system in order to be able to use it with this app.